First post here... Been coming to this site for years, love all the info & the community is awesome. 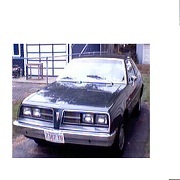 I've got a running project '75 Monza 2+2 hatchback that I'm looking to replace the windshield on. Turns out, I have a '76 Spyder as a parts car with a good windshield that I would like to use. I know it's best to leave this type of work to the pros unless you're experienced, but many of the places I've called about this say that it's likely the glass is going to break on its way out. My dad is pretty handy at making things work. I have a feeling that we could pull the glass without any problems. I'm mainly curious what type of tool would be best for this. I've seen the T-bar with the angled blade and the wire reel that is drill powered. Also, does pulling a windshield weaken it? During the install, would it have a greater chance of breaking just because it was pulled from another car? What I'm considering is pulling both windshields (starting with the broken one), and then having someone come out to the house to finish the job. I would appreciate any input. I feel like we only have one shot at this. Glass does become more brittle or fragile with time so I would definitely get the old one out before trying to remove the one in your good car. I have seen pro's pull windshields like nothing, so I would still suggest having someone do it who knows what they are doing and has the right tools. It may still break but they have a better chance pulling than someone who has never done it. If you can get it out I don't see any issue with reusing it, just be real careful cleaning all the residue off of it and the car and then have it professionally installed. It's a gamble but what do you have to lose other than whatever they charge to pull it. Great to hear each of your views on this. I think I will end up hiring someone for the job. Just don't want to think what one of these cost new. The shop from the other day wasn't able to find one after exhausting their resources. Have yet to hear back from Safelite. I like the auto-wrecker idea. I will have to call around to see if we could have anything arranged like that. I never considered that Safelite may only pull previously cracked windshields. I will keep you posted. I pulled my Spyder windshield just a couple of months ago (first time) and I cracked it, but it was my own fault for being impatient. I went around initially with a heat gun to soften up the seal, then used a sharp utility knife from the outside. That was a good start, but then I used an oscillating tool with a staggered flat blade and it made EASY work of removing the windshield seal. My mistake was in getting impatient in not waiting until I got ALL the way around the windshield before trying to pry the glass way from the car. Be careful here, because it is VERY brittle, so even "taking a peak" by prying up a half inch or so from one corner caused mine to crack down the middle. Ironically, once I finally used the oscillating tool all the way around the windshield, cutting through the seal, I was still able to easily remove the windshield in one piece, even with the 'top to bottom' crack in it. I successfully removed a windshield from a Cosworth. I saw the procedure from one of those TV car shows. Carefully and as completely as you can cut the sealant around the perimeter of the windshield with a utlity knife, then - as scary as it sounds - lie on your back on the floor of the car (with the front seats out) push with your legs with your feet flat on the windshield with a slow, steady motion. If you've cut well enough it will slowly peel away. If it doesn't seem to be moving, go back out and run around the perimeter with the utility knife again, just to be sure. They showed on the program having two people push but I did it successfully by myself. By all means, do not "kick" - slow and steady is the key, biasing your feet closer to the top of the windshield. This reply may be late in the game for you...but I successfully removed my windshield in my 1975 Vega by using old guitar strings. Heat up the end of the steel guitar string with a lighter, poke the end of the string through the windshield seal. Wind up both ends of the guitar string on small wood pieces so you have something to hold onto, and have someone on the outside and someone on the inside pull slowly back and forth on the string. The friction causes heat and will cut the seal out cleanly without damaging the glass. Once you go all the way around the glass, it's free and the glass will not have to be forced out at all. Works great! I did break a guitar string or two in the process by trying to go to fast...the string got to hot and broke, but I had plenty of used steel guitar strings and it took about 45 minutes to cleanly cut out all the sealant around the glass without damaging anything. Just a tip for what works. I get them out with wire also. Cut away as much of the sealer as you can and pierce it with a wire and a couple screw drivers to wind it up on and use for handles. I use safety wire. I've done them by myself but a "good" helper helps. The trick it to not drag the wire on the edge of the glass. Pull it right along the roof edge and have 8" of wire exposed or so to your handle. The wire should never touch the glass edge unless you don't mind breaking it. Setting it in the sun helps soften the seal often and also solvents. Wire is the way to go. I have removed four windshields and having broke any. Another key component, is a buddy. It takes two people to remove a windshield properly. Hi guys! Thanks for all of your replies and experiences. I am getting back around to this late, but I figured I would update you with the information I came across during the removal of my windshield in case it may be helpful for anyone in the future. We used wire also, I think it was picture hanging wire. Guitar wire would be a great alternative as mentioned. We were able to pull the cracked windshield without furthering the cracks, but after getting 3/4 done pulling the good windshield, I put a nice 12-15" split all the way up due to dinging the glass with a screwdriver while trying to remove the trim clips! I also removed the hatch glass to reseal it while we are putting the new windshield in. Any tips on install? I've heard of people using a foam dam along the pinch weld to keep any urethane from getting inside the car when placed. A foam dam or even butyl rope (1/4" or 3/8"). Does anyone happen to know the factory way of mounting the glass? Were the windshield/rear hatch glass different process? I like the idea of a foam dam but I don't want to compromise the structural rigidity of the car. Also, would the foam dam compress more than the butyl rope and make the trim dangle around? I used the wire to get spare glass for my Sunbird from a junk Monza. Go slow, patience will be rewarded. Got specialty wire off Ebay and don't regret it. This guy can get new H-body windshields for a reasonable price. You have to call on a telephone. Yes, I just bought one from them in April and they shipped it to me in California. Think it was about $275 with shipping. The old glass does get brittle and the blue tint fades to bronze. With these available for a reasonable price it is not worth trying to remove and transfer one. I have removed 4 of these. One broke while removing, one broke after I had laid it in the frame and I was lifting it out (brittle) and I have one that I got before I found a new one. My successful removals have been cutting straight down around the outside perimeter with a utility knife then poking the sealant with a sharpened putty knife. Be careful not to cut the antenna lead and do not force anything. Make sure the sealant is cut all the way around.